While changing a light bulb can be an easy task, ballast replacement for your home or business should be done by a trained technician. Shogun Services has worked in countless residences and commercial business locations across Central Virginia and has the experience to choose the correct ballast replacement product to maximize efficiency and provide great lighting solutions. 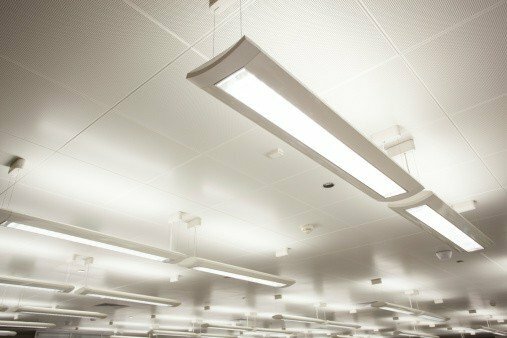 The average customer may have an idea of what types of LED or fluorescent bulbs they’d like to use, but no access to knowing what ballast models to use. Give us a call and we’ll walk you through the process and make the best decision for your situation. If you think you need new lights or a total ballast replacement, there are some warning signs that can help us make that decision. If the color of the lighting seems amiss, the bulbs frequently burn out or crack, the lights are typically dim or not running at full capacity, or there is a long delay in the lights powering up, give us a call and we’ll come out and take a look. Also, as with all modern tools and technology, a proper ballast replacement can provide you better lighting, higher efficiency, and savings on your energy bill.